DO NOT BELIEVE EVERYTHING YOU READ! | Hormone Replacement | Functional Medicine Weston, Fl. In a recent article, published on Reader’s digest magazine and based on a study done by the Journal of Clinical Oncology, the use of vitamin B is linked to higher lung cancer incidence in men. In the study, the patients were not only using vitamin B6 and B12, but they were also smokers. First of all, when checking the levels in the blood, they do not correlate with the levels in the tissues, or how much vitamin B6 the patient was taking overall or over the long term. And regarding the type of patient chosen, smokers? I think everyone except the tobacco companies are aware that smoking causes lung cancer but yet we are looking for another connection. I always have in the back of my mind who is the sponsor of this University based study? The pharmaceutical companies? It is important to note, that in Functional Medicine we use lots of vitamins and minerals. The whole basis is to take the right amount and the right dosages. Nothing in our body needs to be in toxic levels, nothing. This is why we have specialized test that looks at how much vitamins and antioxidants we have, not in the blood, but more importantly in our tissues. With that information we can personalize the cocktail of vitamins an individual person needs to be healthy. We are known for our specialized IV (intravenous) vitamin mix to get your levels at a therapeutic level quicker. If you would like more information, call us at Bellissimo Medical (954) 384- 8989. 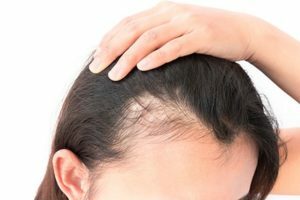 Hair loss is a very common and emotional issue which occurs, mainly, during peri-menopause and menopause for women and during andropause for men. We know that hormones have a direct link to the health of the hair follicle and as you age there will be a decline of both the hormones and the healthy follicle. At Bellissimo Medical we try to systematically find the cause of the problem and repair it naturally. In cases that are more difficult, treating with Platelet Rich Plasma (PRP) does the trick for most women and some men. Below are links to some clinical studies that back the use of PRP for hair loss. New research | PRP for hair growth and restoration – Dr. Marc Darrow is a Stem Cell, PRP,Prolotherapy Expert in Los Angeles.